With the lack of any substantive news about Bond 25, 007 fans are wondering if the next James Bond movie can make a 2018 release. Here’s a key date that could tell the tale, even if it’s not a precise one. If — and that’s a big if — a first draft script is delivered in the spring of 2017, then a 2018 release for Bond 25 could still happen. The script went through a lot of changes after that — including reworking by the likes of Neal Purvis, Robert Wade and Jez Butterworth. Still, there at least was a starting point. The problem is nobody outside of Eon Productions knows whether anybody is actually working on a Bond 25 script at this point. Logan’s hiring to write what would become SPECTRE was announced in November 2012. That was the same month Skyfall was released in the United States. Originally, Metro-Goldwyn-Mayer disclosed that Logan was hired to write two 007 movies, but that plan was later scrapped — in part to lure Skyfall director Sam Mendes back for SPECTRE. No announcement has been made concerning a writer or writers for Bond 25. With the lack of any official news, fans have looked for any tidbits, even rumors. For example, THIS REDDIT POST by someone who knows “people in London who work in the film industry” caused a buzz on some 007 message boards this week. This is from the same Reddit user WHO HAD A POST IN JUNE that has been contradicted by the new post. If you want to check out the two posts, feel free. The point for providing the links here is that drastically different, and unconfirmed, stories/rumors are being told. 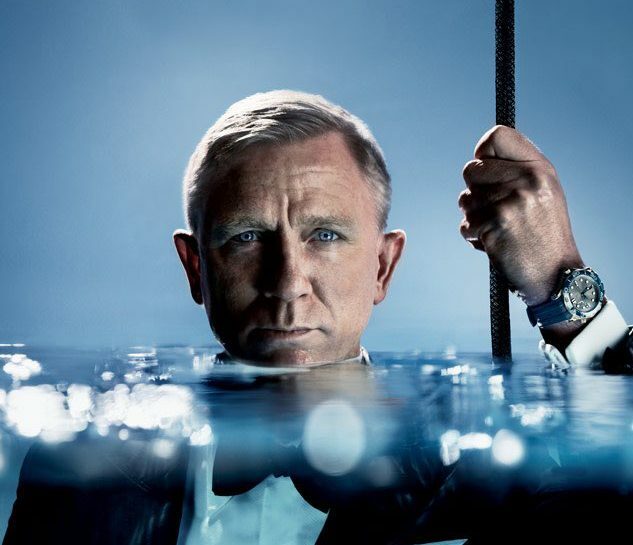 As this blog said recently, 2016 is shaping up as a lost year for the film 007. Spring 2017, as imprecise as that may be, is a key date that could tell us much about Bond 25. 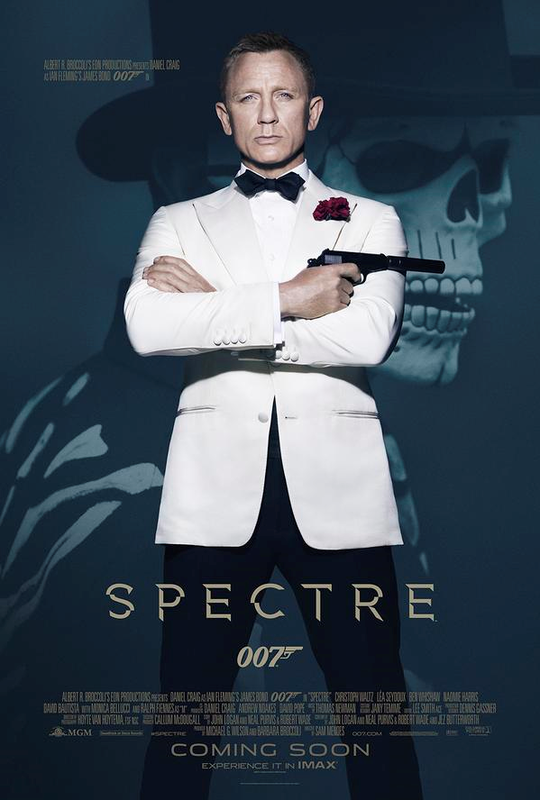 The official 007 WEBSITE unveiled a new SPECTRE poster, featuring star Daniel Craig in a white dinner jacket as well listing the actor as a co-producer of the 24th James Bond film. 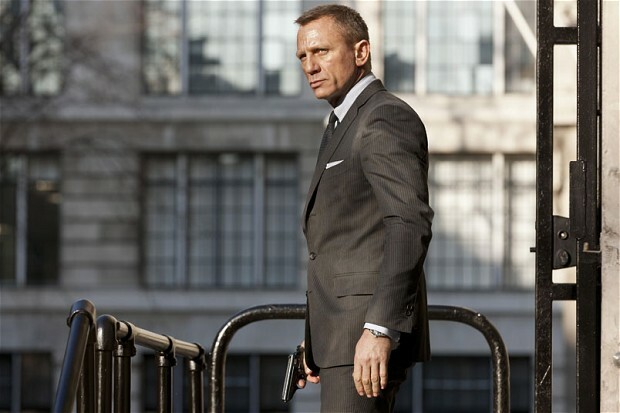 Craig has long been described as more involved in creative matters than other 007 actors. The co-producer credit is a confirmation of that. The other co-producers are Andrew Noakes and David Pope. To easier read the credits, click on the image and a bigger version should appear. The poster also disclosed a long writing credit. The credits for the poster say the screenplay is by “John Logan and Neal Purvis & Robert Wade and Jez Butterworth,” while the plot is by Logan, Purvis and Wade. Butterworth’s involvement came to light last fall when he was featured in a profile by The New Yorker magazine. 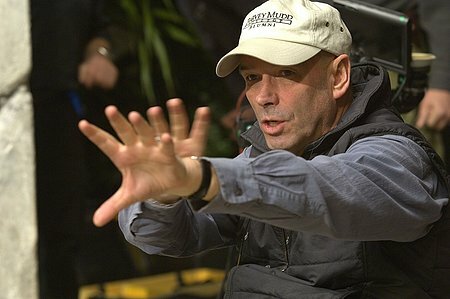 The article said Butterworth had also contributed to the script of 2012’s Skyfall. 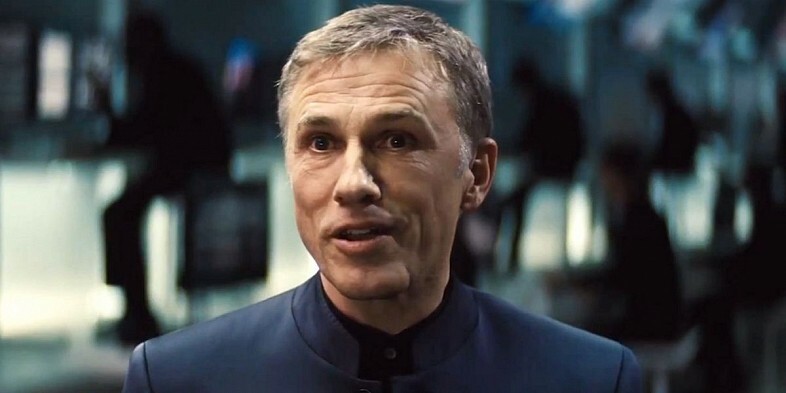 Butterworth didn’t get a credit for Skyfall. The SPECTRE credit indicates his contribution are greater this time around. Logan originally wrote SPECTRE solo, but was replaced in the summer of 2014 by Purvis and Wade. The “story by” credit is an indication that Purvis and Wade substantially revamped the story line Logan first submitted in March 2014. UPDATE: “One more thing,” as Lt. Columbo used to say. 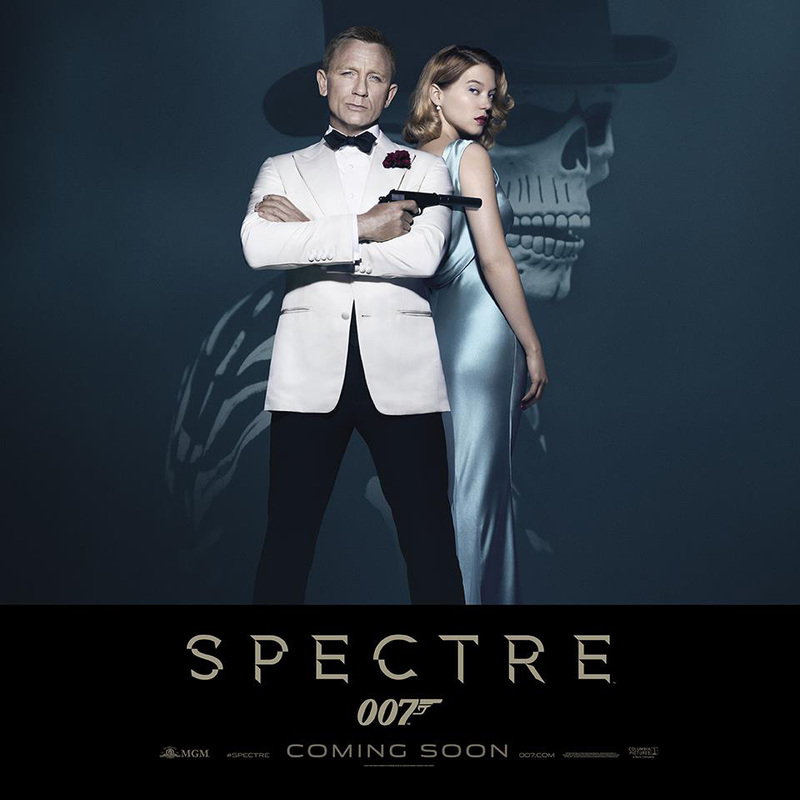 Based on the poster, it appears the co-bosses of Eon Productions, Michael G. Wilson and Barbara Broccoli, have opted to not have the “p.g.a.” mark. That label, or “producer’s mark,” is from the Producers Guild of America, and has been in use since mid-2013 to indicate who the primary producers are for a movie. The guild sought this with the proliferation of producer credits. The mark is voluntary but has been used widely in films the past two years. Apparently, Wilson and Broccoli felt it wasn’t necessary in their case.